UPDATE: The House passed this version of the bill 68-20. The House has made some major changes to a proposed bonding bill for projects on the University System campuses. As passed by the Senate, the bill was $152 million. It had identified Dunbar Hall at NDSU, a communications and fine arts building at Valley City State University, the Harris Hall project for the Northern Crops Institute, and the Pulver Hall project at Dickinson State. The House version reduces the bonding for Dunbar Hall from $51 million to $40 million; it reduces the bond for the VCSU project from $32 million to $30 million; the Pulver Hall project was reduced from $4.5 million to $4 million; and the Harris Hall project was dropped. Rep. Don Vigesaa (R-Cooperstown) thinks the Harris Hall project is sorely needed. "During our hearing (in House Appropriations), we saw Harris Hall, and it does need work," Vigesaa said. "It needs to be replaced." Vigesaa said he wouldn't be surprised if the Harris Hall proposal comes back. But in its place is $6 million in bonding for UND’s Gamble Hall. The House version authorizes NDSU to find $11.2 million for other funds; allows VCSU to use $2.2 million in other funds; and it adds $9 million for Gamble Hall from the state General Fund, requiring UND to come up with another $55 million. "Gamble Hall came forward because UND has identified that there is a large donor, that will donate $20 million," Vigesaa said. "The Legislature has to put forth the project for that to happen." The House version of the bill also includes general fund money for the Bismarck State College nursing building, a precision agriculture project at Lake Region Community College; and various projects at Dakota College at Bottineau. The Legislature last approved bonding back in the 2005 session. And since the oil boom, the Legislature has paid for new buildings in cash. Vigesaa said it has taken him a little while to warm up to bonding. "Because of the Legacy Fund earnings, people are anxious to start spending money on projects," Vigesaa said. "And the campuses do need some upgrades on these buildings." Vigesaa said the state will have the money to pay off the bonds, thanks to Legacy Fund earnings. "We're probably a little ahead of ourselves," Vigesaa said. "If we waited a biennium or two, we could probably pay cash for these projects. But some of these buildings are in desperate need of repair." 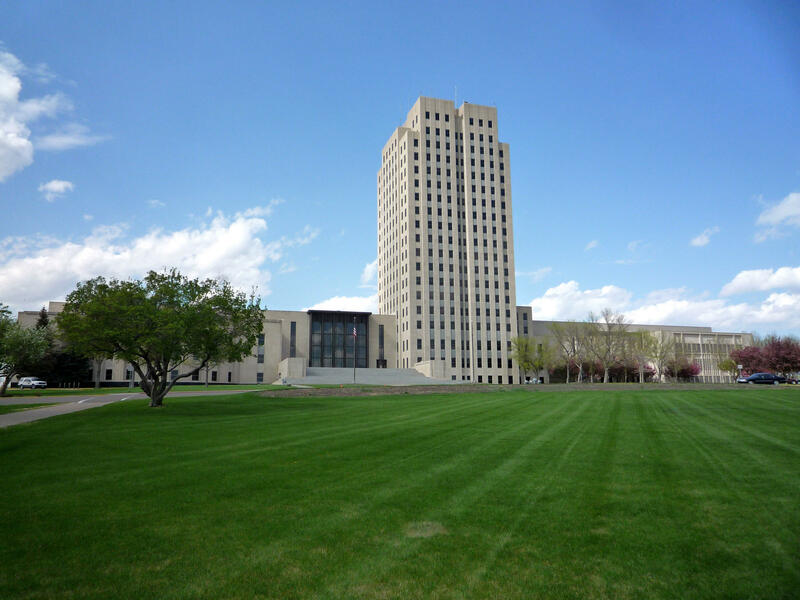 A proposal to bond for some buildings remains alive in the North Dakota Legislature. It’s Senate Bill 2297. And it’s still pending in the House. "They're buildings that we're going to build," said the sponsor, Senate Majority Leader Rich Wardner (R-Dickinson). "At some point, we're going to have to do it." The bill has just under $152 million for buildings. One of them is Dunbar Hall at NDSU, for $51.2 million. It hasn’t been done for a number of years. But the North Dakota Legislature could be on its way to approving a ”bonding bill” for five bricks and mortar projects. The Senate unanimously passed the $152 million bill – and it now will be considered by the House. The building projects include Dunbar Hall at NDSU; a communications and fine arts building at Valley City State University; the Pulver Hall project at Dickinson State University; a new agriculture products development center at NDSU; and a Northern Crops Institute project. Before the oil boom brought increased tax revenue to North Dakota, the Legislature would have to issue bonds for such things as college buildings, building maintenance or special highway projects. From 1993 to 2001, for example, the Legislature issued $51.2 million. And from 2003 through 2009, $43.7 million. Those bonds have to be paid back. "In the current biennium, our debt service is $13.5 million," said State Budget Director Pam Sharp.